John B. 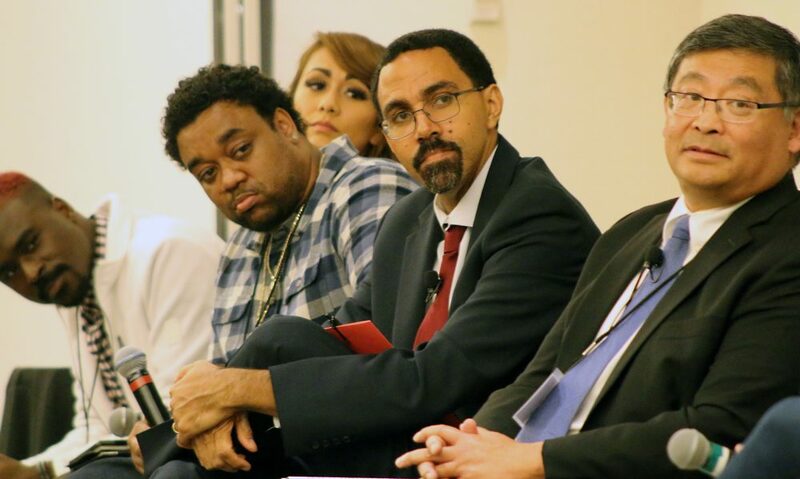 King (center), former U.S. Secretary of Education for President Obama, keynoted the summit on supporting low-income college students. On a misty and cold fall morning, it was business as usual at a hotel in Northeast Portland. There was a conference, engaged attendees and, of course, dynamic speakers from across the country. The topic of the conference, though, was anything but usual. Portland Community College is working with the support of the Oregon Department of Human Services (DHS), as well as the college’s higher education peers, to look at how to better serve low-income and underrepresented students. 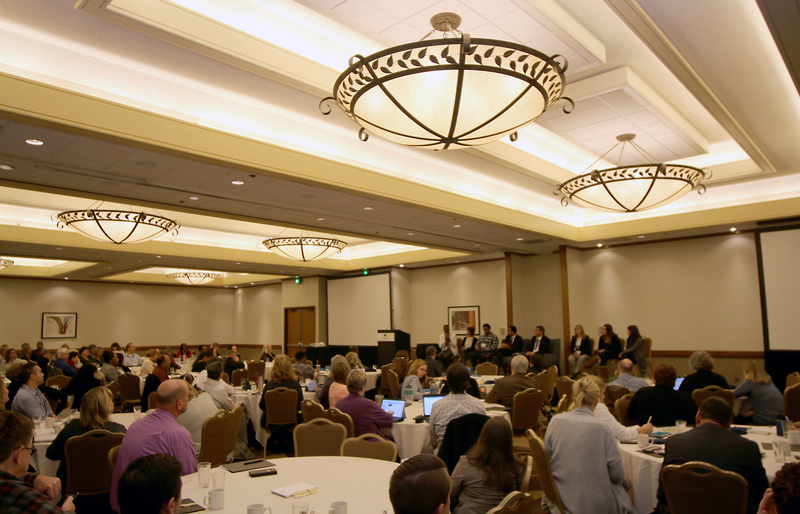 In their second summit this year, representatives from Oregon’s 17 community colleges, state leaders, and public agencies like DHS met as part of the Pathways to Opportunity Project to determine how to align access so that all students have a level playing field when it comes to higher education. As part of this effort, the project aims to strategically organize federal, state, and local resources to support low-income students to complete college. Such synergy is critical. In 2016, more than 112,000 low-income college students in Oregon qualified for maximum financial aid. Due to a lack of funding, only 31 percent received an Oregon Opportunity Grant. Added to this: two-thirds of all community college students experience food insecurity, half face housing insecurity, and almost 14 percent are homeless. Plus, 442,000 adults in the state older than 25 are without postsecondary degrees, are unemployed or working for $15 or less per hour. 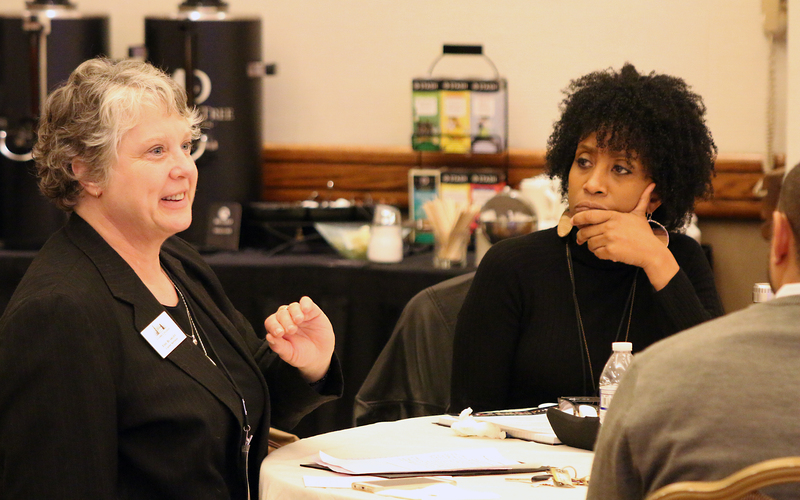 Oregon educators participated in think sessions on how best to serve underrepresented students. The summit is part of recently passed legislation called the Pathways to Opportunity Project (HB 4043), charging Oregon’s community colleges with creating and designing infrastructure that integrates federal, state and local funding for the benefit of low-income students. The project will educate key stakeholders at the colleges about how best to support low-income students by identifying funding right for them; implement successful strategies across Oregon community colleges, ensuring consistency statewide; and promote skills training, college credential completion and career pathways. The summit was thought-provoking. It included a keynote given by John B. King Jr., former U.S. Secretary of Education and now the CEO of The Education Trust; a student panel moderated by King and Mitsui that addressed equitable student success; and a discussion with leaders from the Center for Law and Social Policy, National Skills Coalition and Seattle Jobs Initiative. The centerpiece of the discussion was King Jr., whose nonprofit organization seeks to close the educational opportunity and achievement gaps in higher ed. He talked about how education in the U.S. has slipped from being No. 1 in the world in completion, to 12th. The bottom line, he said, is that educators need to roll up their sleeves, to work harder to connect with students whose lived experience is complex and not altogether stable. Hundreds of PCC partners attended the Pathways to Opportunity Summit. A panel of experts explored the policies and practices that can close opportunity gaps for community college students. It addressed the importance of partnering with students and finding out what their challenges are, such as transportation and childcare — issues that can make the difference between dropping out and completing their degrees. PCC student Tyrone Ervin can attest to that. He said financial aid for his classes in the Career Pathways Program — which offers more than 50 fast-track certificates that lead to jobs and degrees — was critical for him to proceed. With a personal history experiencing traumatic life threatening situations, as well as no professional training on his resume, Ervin is the kind of student that Pathways to Opportunity Project wants to serve. Melissa Johnson of the National Skills Coalition discusses the challenges of closing the opportunity gaps for community college students. 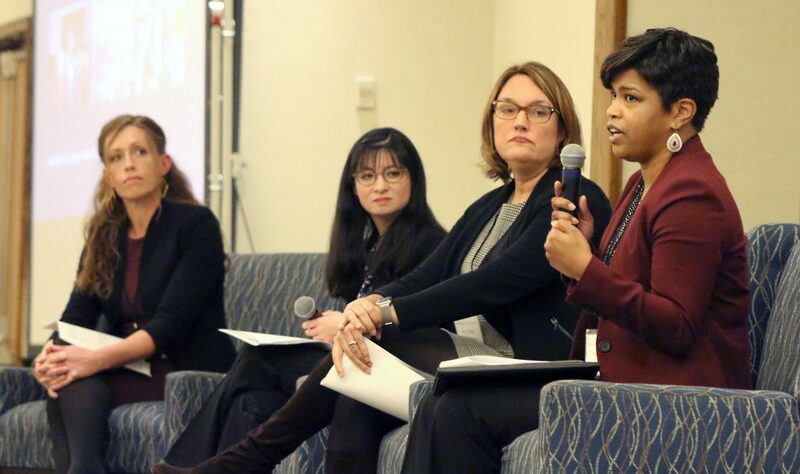 From left to right, Kate Kinder (Career Pathways Director), Bri Nguyen (Seattle Jobs Initiative) and Amy Ellen Duke-Benfield (Center for Law and Social Policy) listen.